The Maryland State Task Force on Reconciliation and Equity recently began its work. The statewide effort, authorized by Maryland Senate Bill 350, is charged with “promoting reconciliation and inclusionary justice work toward achieving racial equity” no small task in an era when race is still an often difficult and divisive American conversation. State Sen. Shirley Nathan-Pulliam, primary author of the legislation, led the charge to the group of businesswomen and men, civil, human rights and health advocates, police and clergy appointed to the Commission. “W.E.B. Dubois said the problem of the 20th century is the color line. Well, here we are—the problem of the 21st century is still the color line,” Nathan-Pulliam said. Nathan-Pulliam reviewed 10 years of work that she and other colleagues invested into establishing a state level focus on addressing racial/ethnic inequities prior to the passage of SB 350 by the Maryland General Assembly in spring 2018. The authorizing legislation requires task force members to “hold hearings at various locations throughout the State and receive testimony from individuals, units of State and local government, community–based organizations, and other public and private organizations,” to examine “the impact of institutional and structural racism” on a wide array of issues including health, employment, K-12 and higher education, housing and income. Task Force members described a myriad of challenges and methods of addressing issues involving Maryland’s racial inequities as the group grappled with how to advance their work throughout the state. “I don’t really think people here [in Maryland] really have in front of their noses concrete reality about what exists in this state,” said Task Force member the Rev. Florence Redyard, rector of St. Bartholomew’s Church in Edmondson Village, regarding the level and impact of institutionalized racism across Maryland. 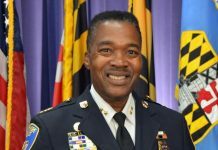 “We will know we are successful when every town council, every school board, every county council, the Baltimore City Council, and the Maryland General Assembly not only has a fiscal policy note for every piece of legislation, but they also have a legally required racial equity policy note,” said Kobi Little, political action chair of the Maryland State NAACP. “Much of what we look at as disparity is intentional,” said John L. Hudgins, director of the Graduate Program in Human Services Administration at Coppin State University. “I worry that Maryland is almost an example that ‘different faces in high places’ doesn’t matter. I’m not so sure if awareness of the problem itself is going to solve the problem,” Hudgins added. “Diversity is in a lot of places but inclusion is not,” said Dr. Carlos D. Williams, of the Robert Wood Johnson Foundation. 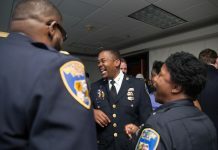 “I see all the time people present in the room with no power to make decisions,” Williams added. Nathan-Pulliam reminded the group that they had a lot of ground to cover on a tight timeline. A preliminary report outlining the Task Force’s proposed activities must be issued by the Institute for Urban Research at Morgan State University to the governor on behalf of the Task Force no later than the end of January 2019, and a full report of findings and recommendations is due by January 2020.